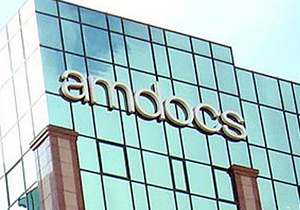 Israeli software giant, Amdocs, who had $1.16 billion in cash and equivalents as of March 31, acquired Canada’s Bridgewater Systems for some $215 million in a deal which promises to improve its phone-billing software business. Bridgewater provides network control solutions for mobile and convergent service providers. While China has wavered over whether to participate in the American-led march to hang sanctions on Iran, officials of the Jewish Country have been pushing their own mum campaign to convince the Chinese that Iran should be disciplined for their renegade nuclear program. Last February, an Israeli delegation made their way to Beijing to present evidence of Iran’s nuclear ambitions. The divulged purpose of the visit was to illustrate the economic impact on China that would result from an Israeli strike on Iran. Should the international community fail to stop Iran from assembling an atomic weapon, Israel warns that an attack is inevitable. Ties between Israel and China were marred when in 2000 an arms deal became bungled. The United States pressured Israel to cancel a $1 billion arms deal, many years in the making, to sell China an advanced airborne tracking system. Israel later agreed to pay a $350 million penalty. In 2005, Washington blocked another Israeli arms deal with Beijing involving a drone aircraft. Well, Israel is also threatened by China’s growing thirst for Middle East oil from many of the Jewish State’s sworn enemies. Says Andrew Jacobs, Jerusalem correspondent for The New York Times. In the game of tangible goods, Israel sells China: telecommunications equipment, high-tech products and irrigation systems. Trade between these two countries reached $4.5 billion last year; that’s up from $3.8 billion in 2006, although three-fourths of this is Chinese exports to Israel. If not for the two-decade-old American-led embargo on arms sales to China which has stymied the Jewish Country’s most lucrative export, the imbalance would be less severe. Well, Israeli officials are frustrated over the ban, though they’re forced to acknowledge that their Washington relationship trumps the yearning for Chinese business. Said research fellow at the Institute for National Security Studies, Yoram Evron. A deeply held affection for Karl Marx and Albert Einstein and regard for the Jewish’s country’s military prowess are cornerstones of a Chinese fascination with Jews. Adding to the previously mentioned commonalities between the two ancient nations, recall that both are victims of genocide and Japanese hatred during the era of the Second World War. British intelligence, on Monday, revealed that during World War II, Nazi Germany planned to infiltrate the Catholic Church, with the use of spies dressed up as monks. A Nazi sympathizer residing in Rome formulated the plan in 1943 and had won the support of the Third Reich. 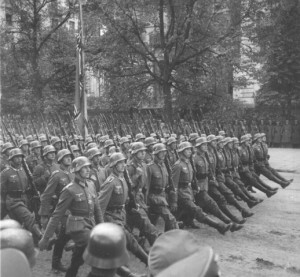 Senior Nazi officials saw it as a way to follow the Allied Forces on their way to conquer Italy. Operation Georgian Convent consisted of the purchase of a building in Rome by Michael Kedia, a Russian anti-communist Nazi sympathizer from Georgia. The plan (involved the)…”set up of a Georgian cloister in Rome under Vatican protection and among the monks introduce agents who were to keep contact with German intelligence,” the MI5 report says. The Nazis believed that dressing up the spies as monks would be the perfect cover due to the Vatican’s neutrality during the war. Vatican officials became suspicious because of the agents’ ignorance of Catholic doctrine and observed interest in women. Later the Vatican received confirmation of their suspicions by an anonymous warning sent by British intelligence. The agents were subsequently sent back to Germany and the Vatican complained to Berlin’s ambassador. The operation was the second to be revealed by the MI5 after when last week it disclosed that the Nazis also planned to infiltrate the Boy Scouts in order to gain the support of its founder. This week the International Monetary Fund (IMF) urged Israel to phase out an unconventional monetary policy – by which it intended the Bank of Israel’s habit of intervening in the country’s forex market. Actually, the Bank of Israel had ceased this activity during a two-month hiatus but just began again by buying between $100 million to $200 million. By mid-day the buying pulled the dollar’s exchange rate from NIS 3.77 to NIS 3.80. The IMF also called on Jerusalem to put together a plan which would sharply reduce Israel’s high public debt burden. Recent increases in short-term interest rates, in both August and December, were “appropriate” to prevent an uptick of inflation as the economy recovers from recession; and Israel applauds herself on her handling of the fiscal disaster. However the IMF urged the central bank to stop intervening in the foreign exchange market and to restore the shekel’s status as a free-floating currency. Regarding Israel’s debt, the IMF recommends that the country reduce its ratio of debt to gross domestic product, to 70% by the middle of the next decade, and aspire to a ceiling of 60% by 2020. It is expected that the ratio will “edge up” to 80% by the end of 2010. I got this from my people in NJ – they walked into Kings and saw this. Mazal Tov Tnuva! 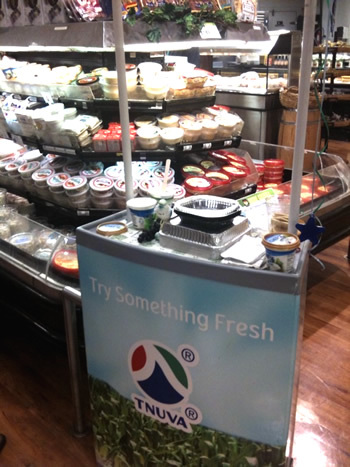 It’s about time the good people of NJ found out what real Cottage Cheese tastes like! It seems that sometimes our guys can’t win – even when it involves a friendly game of football. A big controversy has arisen following a commercial by Israel’s largest cellular phone company, Cellcom, in which a soccer ball comes flying over the West Bank security fence and strikes an IDF jeep going by on patrol. One of the young soldiers kicks it back to the other side, and thus an impromptu game begins of kicking the back and forth with a bunch of female soldiers cheering both sides on. In reality though, representatives of the Palestinian authority didn’t think the idea was very cute at all, especially in light of all the hardships they say that Palestinian citizens go through daily because of the “wall”. In fact they want Cellcom to stop running the commercial, and as a rebuttal, made a Youtube version of how they see the actual incident played out, when their efforts to induce the IDF soldiers to play winds up with the soldiers pitching canisters of tear gas at them instead of a football. The timing of these incidents almost coincides with some comments made my Israeli P.M. Binyamin Netanyahu in which he said Israel has no plans whatsoever to dismantle the fence, and that it has helped prevent terror attacks from occurring during the last few years. The fact that so few attacks have taken place, probably isn’t so much attributed to the presence of the fence as it is to a change in tactics by the Palestinians, who now see that it is worth their while to refrain from such actions, especially with the new Obama Administration in Washington being more partial towards them than the previous one under George Bush. A few serious terror incidents would not be very user friendly to Mahmoud Abbas’ government in Ramallah, to say the least. As for the two sides actually playing a real match, maybe this will actually happen one day, especially since the Palestinian national squad is now back on it’s home ground, after being located for many years in Jordan. And as a final word to this situation, playing football together is surely far better than lobbing other “missiles” over the 4 meter high wall – especially Qassams. 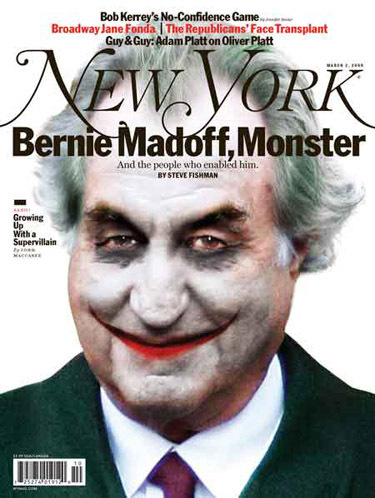 Ponzi scheme artist and former NASDAQ head Bernie Madoff was sentenced Monday, June 29 to 150 years in prison for his role in defrauding thousands of people out of more than $65 billion during a more than 20 year period. The 72 year former Wall Street guru, had a sort of ironic look on his face, according to witnesses, as he was led into the NYC Federal Courthouse at 7 a.m. local time. So much public interest had resulted in a special barrier set up in front of the building, most likely to keep many of Madoff’s victims from having a go at him after he bilked many of them of their life’s savings. One small woman, who watched him go by, said he had taken all she had and that she planned to write a book about it. “I have lost everything”, the small blond woman said. Those inside the courtroom said that Madoff seemed to even display an ironic smile as the sentence was read off to him by a female Federal Judge. Madoff’s attorney, in possibly a last ditched effort to receive some clemency for his client, told the court that Madoff’s wife “spent her own money to provide security for her husband while he was awaiting trial. That remark resulted in a momentary burst of laughter from the packed courtroom, due to its irony. Later on, Madoff’s wife Ruth finally broke the silence she had imposed on herself by issuing a statement in that she was not indifferent to what her husband did, and that “not a day goes by that my does not ache over stories I have read of people who lost so much”. That doesn’t appear to go far enough to placate her husband’s victims, many of whom are now virtually destitute as a result of Madoff’s actions. This also includes a number of high profile non-profit foundations, some of whom will have to close their doors due to lack of funds. Ruth Madoff was allowed to keep a sum of around 2.5 million dollars, in a cooperation agreement her husband made with Federal authorities. That amount may later be challenged, however, due to a number of further claims against the former financier. Putting Madoff away forever isn’t going to bring back most of the money he stole, and lucky claimants may see a 5% return on their original investment. It might have been a better punishment for Madoff (and perhaps his entire family, including two sons and a daughter) to have literally stripped them of all assets, reducing them to the lowest level of penury. Seeing the former ponzi wheeler-dealer residing in a homeless shelter (if one might be found that was willing to accommodate him) might have been a better fate than sending him off to a federal prison where he will be fed, clothed, and attended to medically at the taxpayers’ expense. At 51, Shari Arison appears to have it all. She has a bank, she has billions. She is the wealthiest woman in Israel and she works nonstop, contributing, active, and still, Arison feels she’s missing out on something. She doesn’t have our love. She wants us to know her as she really is, and not the image created of an estranged, yet glowing, satiated woman. Perhaps the new book she has written, Birth, will accomplish this for her. Arison writes in her book that she has wanted people to admire her all her life, and it hasn’t happened. She feels exploited, a victim who gives but does not receive. “I am a person who gives a lot of herself”, she says, “and at some point, when you give and give and give and don’t get any back, or the opposite – get back only cynicism and ill will – then you feel empty and used and unappreciated”. She wishes to free herself from her famous yacht, perhaps the symbol of her wealth. “It’s not for me,” she tries to explain. “For a while I enjoyed it and then I went through a period of torment. I realized I didn’t enjoy all the fuss surrounding it”. The economic crisis created an opportune excuse for her to look for a buyer. The problem is that there aren’t any buyers right now. Bank of Israel’s insistence on dismissing its Chairman of the Board (Bank HaPoalim), Dani Dankner, she still doesn’t understand. “I think Dani was a wonderful Chairman”, she says. “I didn’t see a justification for what they are doing to him, but besides that, I think the global economic crisis occurred largely due to a loss of values. I don’t think one can hang a person in the village square without a trial or without any reasons I can see”. Arison tries to explain why she changed her custom of keeping herself far from the camera’s eye in this story. “I am a person and first and foremost I am true to myself,” she says. “I sat quietly while everyone had their say in the newspapers and on TV, whether it was truth or lies and I said: “That’s it, I have something to say and I’m going to come out and say it'”. The wealthiest woman in Israel claims she foresaw the global economic crisis. “I’ve been receiving messages, call them spiritual communications, for many years”, she tries to explain. “I see things, many things, before they happen. Apparently I’ve been granted this gift, to see the future, not in order to run and buy and sell and make a lot of money, but in order to bring the world to another place”. She receives these messages, she claims, in images or words, sometimes during sleep. “I received a message that there would be a global economic crisis, that people would begin to go crazy, and we have seen that”, she says. “More and more people are going crazy, it’s amazing”. These messages also bring hope. “Things will be good afterwards,” she predicts. “I think we are nearing salvation. Right now, it seems like we are in the dark, but light will follow”. She is also now willing to speak about her father, Ted Arison. “At first, my father didn’t want to leave his businesses to me”, she admits. “Today I understand that it was out of concern. My father’s view towards his daughter was very subjective; he felt that I should stay home with the children. I thought he thought I wasn’t good enough, that I wasn’t deserving enough, but I now understand that this wasn’t true”. Along with these stormy times, Arison has also had to face the scandal of her divorce from Ofer Glazer a few weeks ago. It was the last stop in a stormy relationship that fueled the press, particularly embarrassing stories – the height of them – her husband’s conviction in two acts of indecent assault and his going to prison. She describes Glazer as a great hedonist, who loves to travel and have fun. “He likes everything in extravagance”, she says and points out the difference that perhaps brought about the crisis. “I’m very modest, very shy, very introverted. It was good for me”. So how did it end? “I went through a very important period with Ofer, but we eventually closed the circle”, she says. “I guess I got what I was meant to have, and he got what he was meant to have, and now both of us have to move on”. She stands behind him regarding the sexual charges he was convicted of. “He was done an injustice”, she says. “I was at home, I was a witness. Nothing happened”. So who is Shari Arison, besides the woman and her wealth? “I have a lot to offer, and it isn’t money”, she says. “Shari Arison is a business woman, Shari Arison is a philanthropist, Shari Arison has a generous heart. I have a lot to offer”. OUCH! Bibi does it Again! 1. A sharp 10% reduction in child allowances with an aim to “equalize” the amount a family receives for each child from National Insurance. This will severely hurt religious families, and has enraged Shas Party members, who agreed to join the Netanyahu government in the first place when he agreed to their demands, including those involving child allowance. 2. Reducing the Defense Ministry’s budget by NS 2.5 million and forcing the IDF to raise its retirement age for career soldiers as well as the amount of pensions received (sorry guys and gals, no more “golden parachutes” at age 45). 3. More restrictions on persons filing for unemployment: persons up to age 35 will only receive benefits for 45 days; 35-45 for 60 days; and over 45 for 90 days. When asked what people will do with so few jobs available, the answer was: Well, there’s gas stations, supermarkets, and “yesh neshek?” (the “do you have a gun?” question security guards ask people going into shopping malls, etc.). 4. Benefits for pensions and disability payments will be “frozen” until the end of 2010 with no cost of living raises, etc. 5. And, something that everyone who has to spend time in a hospital will feel: 50 NIS ($12) daily surcharge for each day spent in hospital (people won’t be so keen to stay there long, especially elderly people on limited incomes). And this sum is in addition to all other “out of pocket” amounts due. All of this couldn’t have come at a worst time for most people with more than a quarter million Israelis “officially” unemployed and everyone feeling the sharp sting of this current recession (especially Bank Hapoalim’s head Shari Arison, who in addition to all her other problems is now planning to divorce her current husband, Ofer Glazer – yeah, that guy who spent some time in jail for “bothering” a female employee on Arison’s yacht. Shari may have to sell that too, to raise some badly needed cash). All in all, it doesn’t bode well for us simple folk who are just trying to keep from drowning in very deep financial waters. 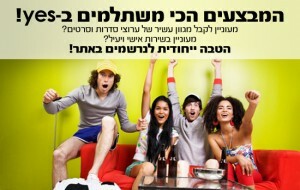 Many Israelis turned on their TVs this morning, expecting to see their morning news and feature program on either Channel 2 or 10. What they got, however, was some kind of scanning sequence that went from 0 to 100 then went back to 0. The thought of not being able to see these programs, must have really freaked out a lot of folk, including those who can’t eat their favorite breakfast cereal without watching foreign programs like CNN and Fox News Just that scan-like (or was it scam-like ) line on the screen going to 100 and then repeating itself. Those poor YES customer service people must have been inundated with calls, since people without their daily television “fix” is like narcotics addicts kicking cold turkey. The customer service department must have been oriented beforehand as to what to say, and what not to say, concerning ways to keep their customers happy, and not have them desert the satellite TV network and join that upstart HOT cable network (if your hot, you’re hot, or is it the other way around.?). YES came into being a few years back after earlier cable networks (Matav, Tevel, and Arutzei Zahav (golden channels) came together into one company, known as Hot. 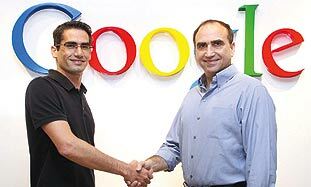 YES is owned partially by Bezeq, the country’s leading telephone company, who own around 49% of the total company shares. The company has close to 200 channels available to its subscribers, including a number of sports channels, reality channels, and news and commentary channels. Many of these channels are not available to regular subscribers unless an additional fee is made. So all of this puts us back to watching that “scan-line” moving from 1 to 100, and then going back to zero. It’s enough to make a grown man cry! The “cable guys”, those fearless repairmen who actor Jim Carry would be proud of, are going to be run ragged as they go from subscriber to subscriber, trying to sort out their sick TV’s. And they better do it before the weekend, that’s all we can say! Sending emails, instead of phone calls or other forms of communication (including faxes), has become so common that many people only use this method of self-expression in every day personal and business affairs. Emails are also being used to replace sending fliers and other forms of “hard copy” notices and advertising to both customers and personal acquaintances alike. Because this reliance on high tech messaging is becoming so popular, a company named Glooq™ is offering some innovative and eco-friendly solutions for “getting the word out” to customers and friends. Founded back in 2007 by an English high tech maven, Elad Schneor and Oded Bali, the company offers it’s customers not only ingenious ways to promote themselves and their products and services electronically, but in ways which are much more ecologically friendly than printing and sending out advertising material that most often winds up thrown into trash cans and garbage bags, using large amounts of paper and plastic materials which are wasteful and pollute our environment. Besides the UK, Glooq is now offering its innovative solutions in a number of European countries and others as far away as Vietnam. Glooq offers its customers a number of promotion and display options, including “design your own” banner advertising, specialized logos, and even promotional photographs (including the customer’s own personal photo, if desired). To attract customers to become a Glooq partner, Schneor offers special presentation “packages” at very attractive prices for periods ranging from one to twelve months, and payable either by credit cards or electronic payment options. Glooq offers customers a “massive reach” to send their messages to literally thousands of destinations on one single sending. Since the message and advertisement has the appearance of being sent directly from the sender, it is more likely to be opened and read, as not deleted as Spam. And since the message is more personalized it is more likely to be acted upon by the receiver. 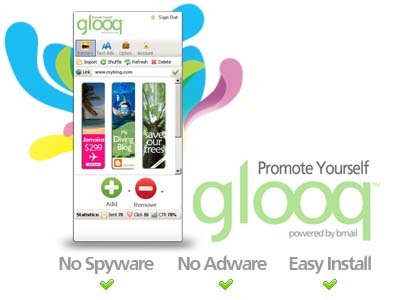 Glooq’s advertising and promotion message tools are being using by hundreds of popular “brand name” product and service companies, including Hertz, TBWA (France), McCann Erickson, REMAX Realtors, DHL and many others. And in order to induce potential partners to join up, Glooq offers a free 14 day trial. Glooq’s message systems work well with most email systems including Microsoft Outlook and Express, Mac Mail, Gmail, Hotmail, Yahoo, and others; and is compatible with both Windows XP and Vista software packages. Bank Hapoalim Where Art Though? In the last 2 days Bank Hapoalim has been basically off the air. It started with a temporary glitch and quickly turned into a full blown “Holy Crap!” type situation (would not want to be the head of IT right now!!!). Anyway today the error message on the website was more personal and included a personal letter from the CEO, Zvi Ziv, where basically he explained that the brand spanking new IBM machine had a rare failure in its operating system. According to today’s message the error was found and they are reloading the whole system back up during the day today….. I am hoping the update will add at least 3 zeros to my balance total. In any case the customers are getting no fees for transactions made yesterday and today. Did Gaydamak save the “Chazer Store”? Strange things definitely happen in this world. And one of the strangest things is the sudden decision by Russian billionaire Arcadi Gaydamak to cancel his purchase of 51% of the shares of the non-kosher food chain Tiv Taam. Gaydamak’s previous announced buy-out of Israel’s third largest supermarket chain, albeit non-kosher, and known affectionately by many as “the chazer store” (chazer in Yiddish meaning pork), became breaking news a few days ago; especially since Gaydamak announced that he planned to “convert” the food chain to one either not serving pork, or actually to one being certified as kosher. The offered sum of $100 million must have been a worrisome amount for even someone like Arcadi, whose accumulated wealth is estimated at between 1.5 and 4 billion dollars. With all the media hype that has been thrown at everyone by the press (their favorite pastime) during the past few days, Arcadi must have begun to have second thoughts concerning the validity of his offer to the company controlled by financier Amit Berger and former Tiv Taam CEO Kobi Tribitch. So serious was Gaydamak’s reservations, he decided to reduce his offer by $10 million, with the likely idea that he would need to spend at least this amount to “Kosher” all the stores properly as well as absorb significant losses until the general public decided to once again purchase products at the Tiv Taam stores. Even if pork and non kosher items were completely removed, including a big selection of non-kosher wines (one of the largest in Israel) there was still the matter of being open on the Jewish Sabbath and religious holidays. Consumers had gotten used to the convenience of being able to do their shopping there on both Friday evenings, until 8 p.m; and all day on Saturday. How Gaydamak would have gotten around this hurdle is still anybody’s guess. So now the situation seems to have reverted to what it was before the earth shaking announcement of the proposed buyout less than ten days ago. One thing is for sure: non-kosher meat processing companies, including the one located at Kibbutz Mizra, located near Nazareth, are breathing a sigh of relief as a good deal of their income would have been lost had the deal actually gone through. And for those who appreciate being able to “run to the chazer store” for a few needed items on Shabbat, or for a tray or two of sushi, will now be able to continue to do so; unless some other billionaire like Lev Leviev (who is religious) might decide to purchase Tiv Taam and either ‘convert’ it to one selling only strictly kosher items or even close it down altogether. Until that dark day happens, those who love wandering through what is considered a truly upscale European-style supermarket will still have the opportunity to do so. Isn’t it interesting how things sometime work out for the best?